Two miles north of the Stirlingshire town of Denny, close to the village of Torwood, lies the ruinous 16th century Torwood Castle. A crumbling shell of what it once was, the lonely silhouette sits quietly in the countryside and the castle is not open to the public. But in recent years several bodies have attempted to restore Torwood Castle to its former glory, and it would seem all is not lost for what was once the seat of the ancient and noble Clan Forrester. The L-shaped tower house is thought to date back to 1566, according to a stone which was found near the castle in 1918. However, much of Torwood Castle’s history remains a mystery. 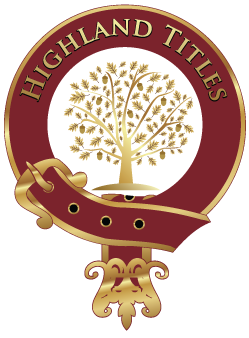 The Forresters were a clan of the Scottish Lowlands, however, the Stirlingshire branch of the clan were the Forresters of Garden who looked after Torwood: a royal hunting ground and forest. The clan had royal connections, and Duncan Forrester was the Comptroller of the Royal Household for James IV. As a family, the Forresters worked with the land and provided timber for the King’s artillery. The role of forester became hereditary in the family, and it was Alexander Forrester who build Torwood Castle in 1566. The castle remained within the Forrester family up until the mid 17th century. Little is known of what happened to Torwood Castle in the centuries which followed. Until 1946, when Gordon MacLachlan Millar bought the castle and dedicated 50 years of his life to its restoration. Millar was passionate about preserving an important part of Scottish history, and when he passed away in 1998 the Torwood Castle Trust was set up to continue his work. However, in 2015, the trust ended and now the castle stands untouched. The Scots Baronial style castle is made mainly from yellow sandstone. Interestingly, the 3-4 storey Torwood Castle displays architecture typical of both a castle and a mansion house. Within the castle lies two spiral staircases – one in the narrow turret between the main range and north tower, and the other taking up most of the north tower itself. It has been hypothesised that the narrower staircase was for servants and the wider staircase for residents of the castle. Outside, Torwood Castle has a courtyard enclosed on three sides, and the faint remains of what is believed to be a kitchen garden. There are also some fireplaces visible, which perhaps once belonged buildings standing against the castle itself. There is evidence of crow-stepped gables too. Although Torwood Castle is listed as an ‘at risk’ building, large sections are incredibly well preserved and the castle isn’t beyond repair. Unfortunately, at the moment, Torwood Castle is not open to the public, however, it’s possible that after some restoration it may once again open its doors. According to the Buildings At Risk website, Torwood Castle’s present owner has plans to rebuild the roof and stabilise the structure. Torwood Castle can still be visited, however, we advise extreme caution as the castle is in ruins. You can still enjoy a nice walk around the main building and inside the ruined walls, which provide a fascinating yet eerie scene. This article is part of our Guide to Scottish Castles, a collection of must-see castles in Scotland. Highland Titles mission is to conserve Scotland, one square foot at a time™. By selling souvenir plots of land, we are funding our Nature Reserves and conservation projects.